MidiGAL is a simple Atmega328p based MIDI controller board featuring 8×2 LCD, MIDI IN/OUT connectors with LEDs, one encoder and one switch. It can run a bunch of different firmware variants (updatable via Sysex), including original unmodified MIDIpal firmware. 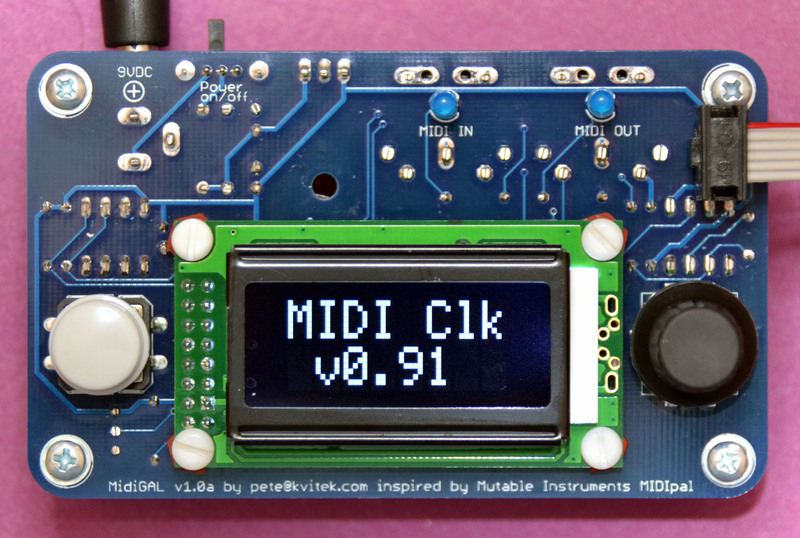 One cool firmware available for MidiGAL is MidiClk — high precision Midi Clock Tester/Generator that is capable of straightening up your DAW or iOS MIDI Clock. See more details here.